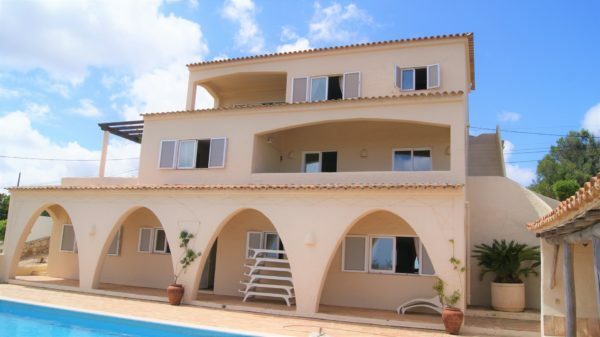 The villa is situated at the end of a quiet cul de sac with approximately five other villas leading up to it, approached by a private drive with double gates at entrance and covered car port and garage at drive end. The property sits on higher ground than surrounding area lending itself to give commanding views all around. 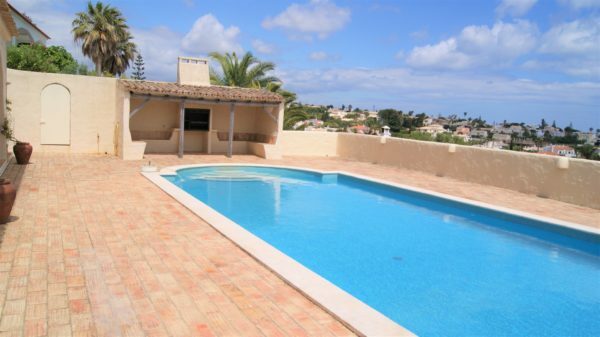 the villa lends itself to renting with 4 large bedrooms all en suite, two double bedrooms on ground floor at pool side and one double bedroom and one master suite on 3rd floor, the master bedroom with balcony with wonderful views seaward and looking down the valley towards Burgau. Both bedroom floors are separated by large living areas on middle floor, Utility room, toilet, kitchen, diner, lounge and snug with open fire and two terraces giving commanding views to front and side. Large hanging, linen and storage cupboards abound throughout the villa. There are two electric hot water storage tanks on site, one on the lower floor serving the lower level bathrooms and the second located in the utility room serving middle and upper floor. Kitchen cooking is by electric oven and bottle gas hob. Gas bottles have their own storage shed in carport. Large kitchen fully equiped with two large fridges in utility room where there is plenty of room for washing and ironing. Gardens are almost maintenance free, but local gardener tidies up and waters when required. Lemon and Peach trees are present and give fruit. 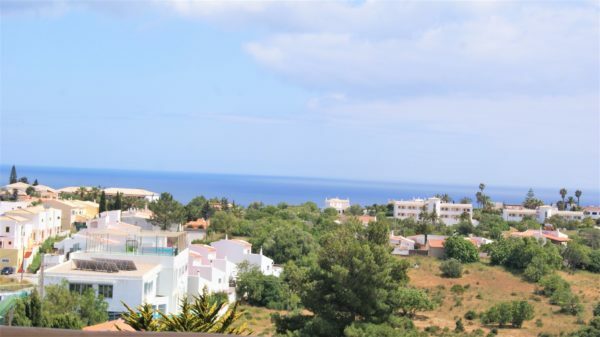 The villa benefits by very peaceful surroundings and because of height above sea level experiences a cooling breeze when temperatures are at their uncomfortable highest down in Luz village.